Can be constructed in many different configurations depending on customer application. 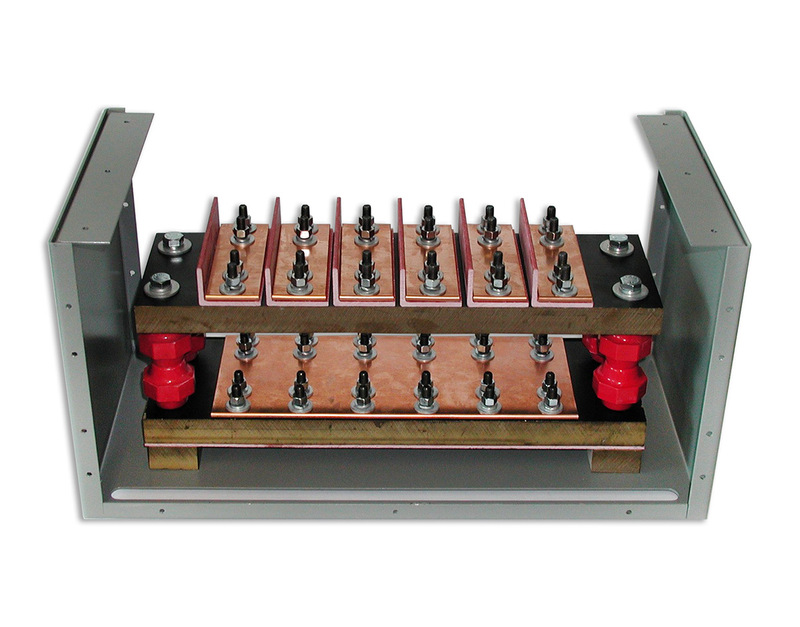 Standard panels range up to as many as 30 individual isolated loads. Additional positions are available upon request. Connections are totally enclosed with clear lexan covers front and back for easy of inspection. 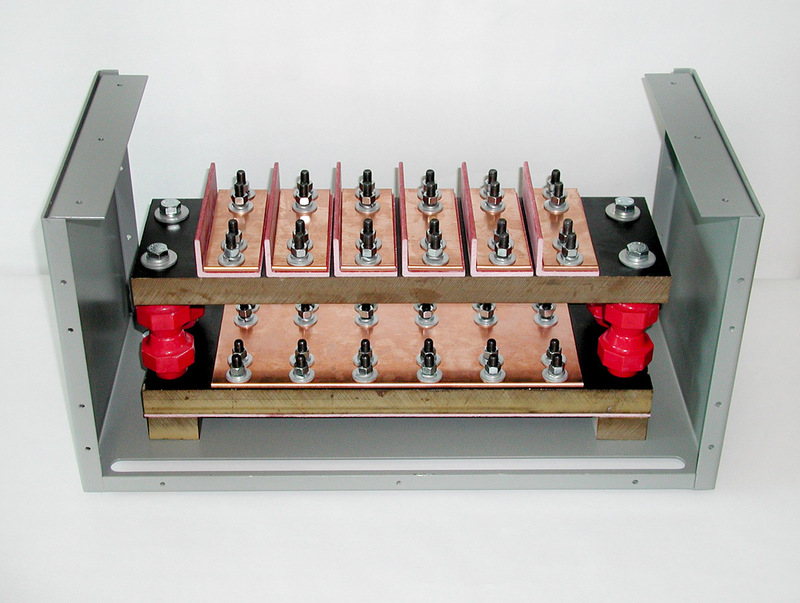 Each isolated load has a capacity of 600A. Additional capacity available upon request. Cabinet mounts directly to any size cable rack or framing channel. 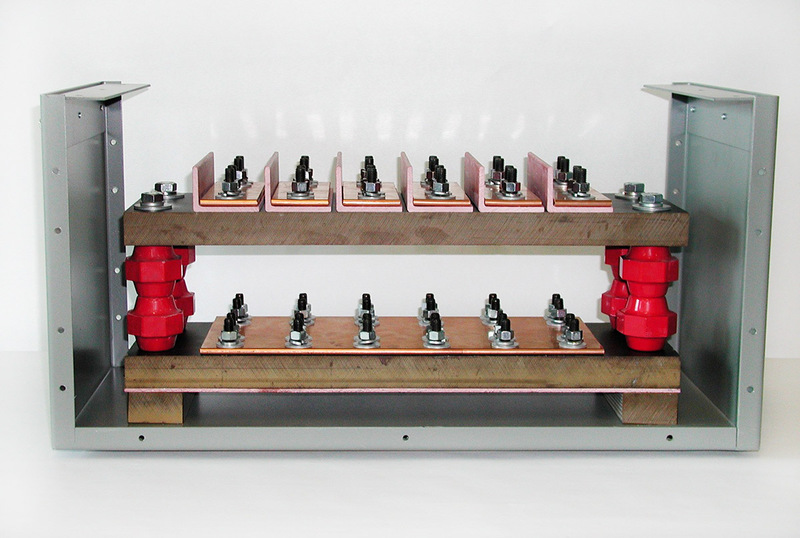 Allows you to reduce the size and or number of cables when terminating into distribution equipment.